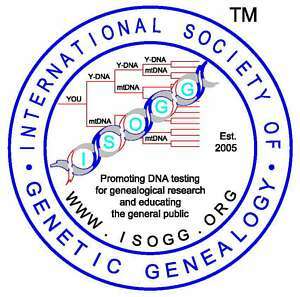 The U SNPs were reported on the ISOGG 2007 tree, but did not appear in the Karafet et al (2008) paper. This tree integrates the two different trees. Identical SNPs that were discovered separately are listed in alphabetical order, not necessarily in the order of discovery, and separated by "/". Example: L31/S149. P17 has been withdrawn by discoverer. Y-DNA haplogroup G is primarily a Middle Eastern, Caucasus Region, and Mediterranean haplogroup that occurs in northwestern Europe in only about 2% of males. The frequency is higher in southern Europe, amounting to approximately 8-10% of the population in Spain, Italy, Greece, and Turkey. Haplogroup G occurs most frequently in the Caucasus region where half of North Ossetian males are in G, as are about 30% of Georgians and Azerbaijanis. The small numbers of haplogroup G in northwest Europe likely arrived there in part with the Neolithic expansion of agriculture and in part with episodic migrations within the last few thousand years. Some likely arrived with the Roman occupation. The relative contribution of these different sources is controversial, but the relative contribution probably varies in importance from place to place. By far, the most common sub-group in western Europe is G2a. Haplogroup G2a has been resolved into several subgroups, the largest of which is G2a3-U8. Sub-groups G1 and G2c occur at almost an order of magnitude less frequently than G2a in western Europe. G1 is common in Iran (Regueiro, 2006), but uncommon in Europe. A large majority of European G2c’s are Ashkenazi Jews, but so far G2c has been tested in only a small number of people in the Middle East and South Asia. Among Ashkenazi Jews overall, about 10% are in haplogroup G, including about 8% in G2c and 2% in G2a, along with small numbers in G1. About 20% of Moroccan Jews are in Haplogroup G. Other groups with a significant G frequency include Catalan-speaking northern Sardinians and the Druze, who are about 18% G2a. About one-third of Haplogroup G in Iran is in sub-group G1. The founder of haplogroup G is thought to have lived about 30,000 years ago, probably in the northern part of the Middle East. Nasidze et al, Genetic Evidence Concerning the Origins of the South and North Ossetians. (pdf) Annals of Human Genetics, 68:588-599, 2004. Sims L M, Garvey D, Ballantyne J (2006). Differentiation of sub-populations within Y-SNP haplogroup G, (poster citation) Forensic Science Society, Autumn Conference, Wyboston, UK, November 3-5, 2006. Sims L M, Garvey D, Ballantyne J (2009). Improved Resolution Haplogroup G Phylogeny in the Y Chromosome, Revealed by a Set of Newly Characterized SNPs. (pdf) PLoS One, 4:6, e5792, 2009. Added Sims et al (2006) on 15 January 2009. Removed Garvey from Additional Resources on 22 January 2009. Changed subclade of L30/S126 and L31/S149 on 10 February 2009. Changed one of the G Project in Additional Resources from Peter Christy to Ray Banks on 17 March 2009. Added L91 and in Additional Resources removed Whit Atheyon and Brian D. Hamman and added Ted Kandall on 24 March 2009. Added Sims et al 2009 on 4 June 2009. Added L78, L91, L139, L140, L141, and L177 on 22 July 2009. Added L184 and changed subclade for L42/S146 on 24 November 2009. Corrected error for L42/S146 and L43/S147 on 2 December 2009.